Congratulations to Valerie Brummel (JD ’17) who was recently selected as the recipient of the Federal Bar Association's Robert A. McNew Law Student Scholarship. Following graduation this spring, Valerie will be working as a law clerk for Judge Milton Shadur of the Northern District of Illinois. The Foundation of the Federal Bar Association is pleased to announce the recipient of the Robert A. McNew Law Student Scholarship: Valerie Brummel of Northwestern University Pritzker School of Law. This new scholarship promotes the practice of federal law by awarding a scholarship of $5,000 to a law student attending an ABA accredited law school. The scholarship is named in honor of the Foundation of the Federal Bar Association past president and founder of the Fellows program, Robert A. McNew, who also served as president of the FBA and a director of the Federal Bar Building Corporation. Bob has been an active member of the FBA for more than 30 years and continues to support the Foundation in his retirement. Valerie's undergraduate and law school paths have consistently pointed her towards federal practice. As a college student, one of her greatest joys was volunteering with the Head Start program in Ann Arbor. She spent two years as a Volunteer Coordinator and a volunteer, working with children from low-income families, autistic children, and children with cochlear implants. Valerie observed the impact of federally funded preschool on these young lives. Valerie spent two summers working for United States Congressmen: the first summer she worked in Washington, DC, for Carl Levin, the Senator from Michigan. Working in the Capitol Building gave her an opportunity to see the federal government at work. She attended several Congressional hearings throughout the summer. The following summer, she worked in Dearborn, Michigan for John D. Dingell, the Representative from the 12th District in southeast Michigan. Here Valerie observed the federal government's ability to create change at a local level. She worked side by side with case workers to help constituents with issues regarding veteran's benefits, immigration, and disability law. 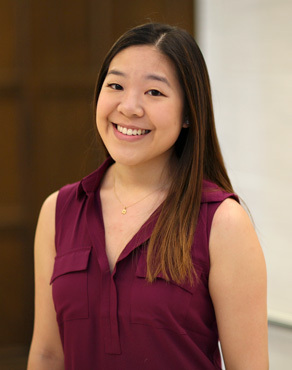 While applying to law school, Valerie visited several top law schools across the country, a process which reinforced her decision to pursue a legal career. She discovered that she loved the fast paced style of learning, the importance of good writing, and the emphasis placed on logical reasoning. Most importantly, she loved the promise of what a law degree could help her achieve in the future - the ability to influence law and policy to positively impact many people. After her first year of law school, Valerie spent the summer as a judicial extern for Judge Robert M. Dow of the Northern District of Illinois. While there, she observed the judge conduct his calendar call and watched hearings and trial proceedings. She completed legal research memos and wrote opinions under the supervision of law clerks. The experience strengthened her legal research and writing skills and gave her the chance to see several stages of the litigation process first hand. Valerie enjoyed the externship so much that she accepted a position as a law clerk for Judge Milton Shadur of the Northern District of Illinois. Valerie states, "My goal is to use the law as a vehicle for positive change, and I plan to work as a litigator - hopefully in federal courts - throughout the rest of my career." This article originally appeared on the Foundation of the Federal Bar Association website.